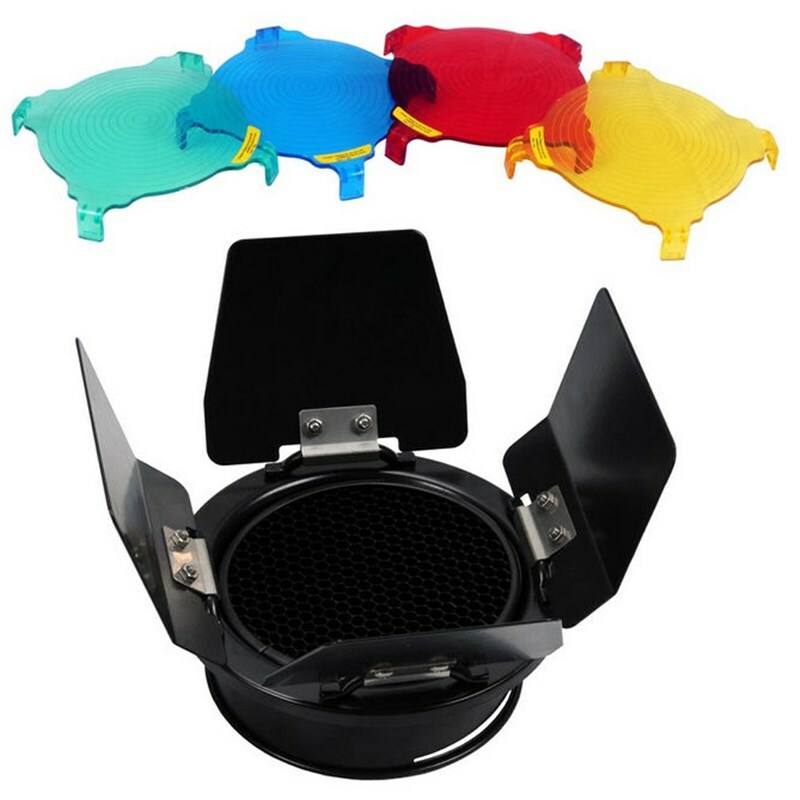 This 3in1 Comb Set includes Barn Door, Honeycomb Grid & Gel Color Filters (Blue, Yellow, Red & Green). The Studio Barn Door for Flash Strobe Light has 4 leafs. It can adjust Light Intensity. It is ideal for most of Light Intensity. It facilitates shaping of the beam of light from the fixture, and prevent the distinctive scatter of light created. The Studio Honeycomb Grid is used as superior control support for direction of light Stream. It cuts down on lens flare. It is perfect accessory for Direct & Hard Lighting. The Studio Color Gels Filters are Translucent. They are in Red, Yellow, Blue & Green. They can change the background color. It can also correct light balance or create special light effects with attached barn door.